Recorded January and February 2011 in Cleveland, Ohio. Cut at D + M Berlin by CGB, March 14th 2011. 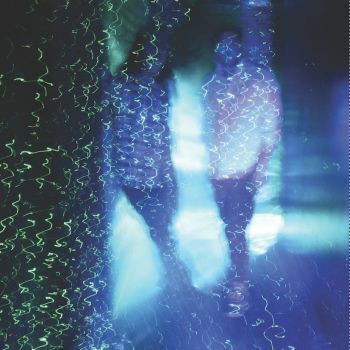 "House" is the 2nd official full-length offering by Cleveland, Ohio duo MIST featuring Sam Goldberg (of Radio People) and John Elliott (Emeralds, Outer Space, Imaginary Softwoods etc) after 2009's self-titled debut effort on Amethyst Sunset. A suite consisting of 7 complex, layered compositions shows new progression in composition and melody from the duo. From the lightning fast, bittersweet crescendo of "Twin Lanes" to the dramatic chord progressions of "I Can Still Hear Your Voice", "House" is a certain expansion in execution and construction. Tracks like "P.M." put a new take on the long-form Mist style with cryptic alien vocoder and humid pad sounds, while "Mist House" and "Dead Occasion" reveal new, complex territories that will most certainly please fans of the previous Mist recordings.